If you read our last post on the Benefits of Crate Training, hopefully you understand that if crate trained properly, dogs don’t see their crates as punishments, but as a home within a home. Unfortunately, the answer is ‘It Depends.’ Your dogs age, temperament, personality, and any past experiences will all factor in to this. It is very important to not rush this process. 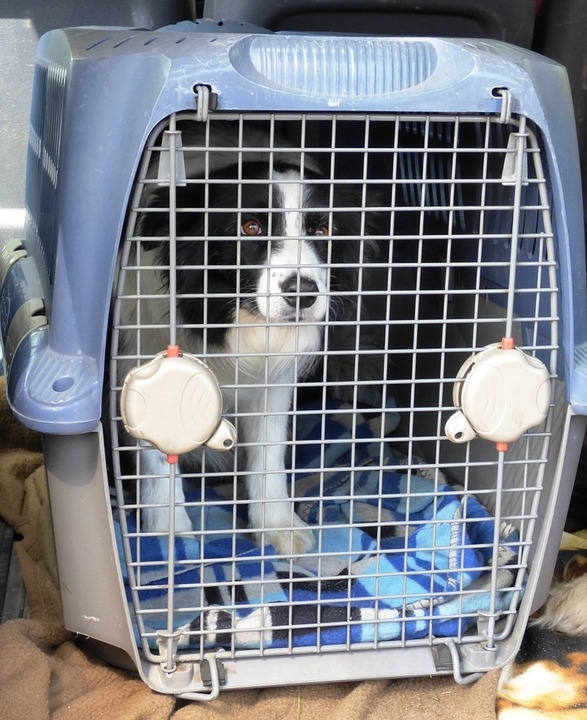 If you move too fast, your dog may become anxious or fearful of the crate. The purpose of the crate is to provide a safe, welcoming environment. Never use the crate as a way to punish bad behaviour. Ensure there are plenty of treats and toys, along with lots of praise and love while you are crate training your pet. This will teach them to enjoy their time in the crate, and they will begin to use it on their own. You never want to let your dog out of their crate when they whine. This simply serves as a reward, and now they've learned that whining will get them out of the crate. This is the opposite of what you want. Consider first that your dog may have to use the washroom. Take him right outside, and then back to his crate without any stops along the way. if you think your dog is displaying signs of Separation Anxiety, you should speak to your vet. Crating a dog with severe separation anxiety may result in injury as they try desperately to escape the crate .